FDR’s consistent advocacy towards strong anti-corruption institutions has contributed towards the enactment of Lokpal and Lokayuktas Act, 2013. The scope and extent of the proposed Lok Pal institution were carefully studied at FDR and distilled into concrete reform proposals for establishing an effective, independent, powerful and robust Lok Pal for entire India. The amended Lok Pal Bill, passed by the Lok Sabha incorporated most of the recommendations made by the Round Table in 2011. However, it still suffered from certain lacunae such as absence of Lokpal superintendence over CBI and CVC. To tackle these problems, FDR made a Submission to the Rajya Sabha Select Committee on The Lokpal and Lokayukta’s Bill, 2011 with Suggested Improvements. The Rajya Sabha included many of these recommendations when making amendments to the Lokpal Bill. The Right to information ACT brought on the statute book in 2005 is a significant milestone in ensuring transparency and accountability in administration. FDR has for many years been at the forefront of a campaign for such enactment. 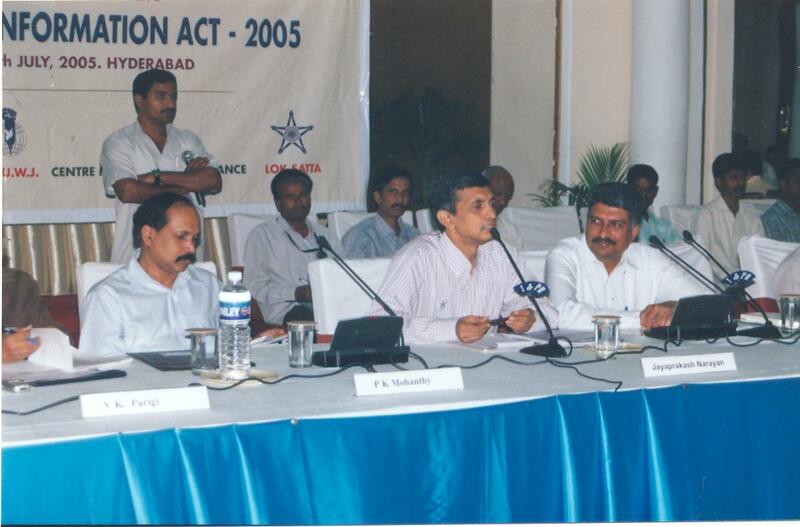 Lok Satta and FDR carried out extensive campaigns in various districts in 2002-03 and advocated for transparency and accountability in public administration. One and a half lakh postcards were sent to the Prime Minister in 2004 for this purpose. As a result of these efforts, the RTI Act was formulated in 2005 and Dr. Jayaprakash Narayan, as a member of the National Advisory Council, played a crucial role in drafting the act. FDR / Lok Satta had recognized early on that extensive efforts are needed to give wide publicity to the ACT to create awareness in the Government functionaries and public at large to provide momentum to its implementation.FDR / Lok Satta partnered with Andhra Pradesh Press Academy, Andhra Pradesh Union of Working Journalists (APUWJ) and Centre for Good Governance (CGG) in this effort and workshops, training and awareness programmes were conducted at Hyderabad and across the State to sensitize government functionaries, public authorities, Civil Society Organizations and the general public on the Right to Information Act. Telugu version of the ACT together with pamphlets and booklets and Q & A were printed and widely distributed. All these efforts resulted in hightened awareness about Right to Information Act. FDR has been a long standing advocate for service guarantees.In this regard, FDR/Lok Satta published Citizen’s Charter and submitted Right to Public Services Bill at the national level in 2012 . FDR also suggested amendments for Right of Citizens for Time Bound Delivery of Goods and Services and Redressal of their Grievances Bill, 2011(commonly known as the Citizen’s Charter and Grievance Redressal Bill 2011) to the Standing Committee . This Bill complements the Lokpal and Lokayukta Bill 2011. Together they have the potential to drastically improve in the process of national governance. The recommendations call for integrating the interface of citizens and the state to the extent feasible and making this interface as efficient as possible. In this context, the prime recommendation proposed is that the framework for this bill and Right to Information Act, 2005 be integrated and the key provisions in The Electronic Delivery of Services Bill, 2011 be appended to this bill so as to create a simple, yet integrated bill for an effective and efficient delivery of public services. Expansion of the scope of corruption offences include gross perversion of the constitution and democratic institutions amounting to willful violation of oath of office, abuse of authority unduly favoring or harming someone, obstruction of justice as well as squandering public money. Specification of the offence of Collusive Bribery for transactions which bring about loss to state and public interest, strict punishment for the same, and shifting the burden of proof on the accused in such cases. Mandatory sentencing and stricter punishments for corruption offences. Enactment of The Corrupt Public Servants (Forfeiture of Property) Bill as suggested by the 166th Law Commission, without further delay, especially the provisions for attachment, forfeiture and confiscation of property obtained through corrupt proceedings. Research and analysis of the existing statutory and regulatory framework for curbing corruption in India. Specifically, the performance of various existing anti-corruption institutions and the need for reforms too were studied. Study of the scope, nature and implementation of the Prevention of Corruption Act, the CVC Act, the Delhi Special Police Establishment Act, the Lokayukta and Upalokayukta Act for various states such as AP, Karnataka, etc. Comparative analysis of best practices, laws and institutions from across the world including Scandinavian countries, Hong Kong‟s Independent Commission Against Corruption (ICAC), UK‟s anti-bribery laws and practices, USA‟s anti-corruption laws and institutions. Exploratory analysis of relevant case law from India and elsewhere. 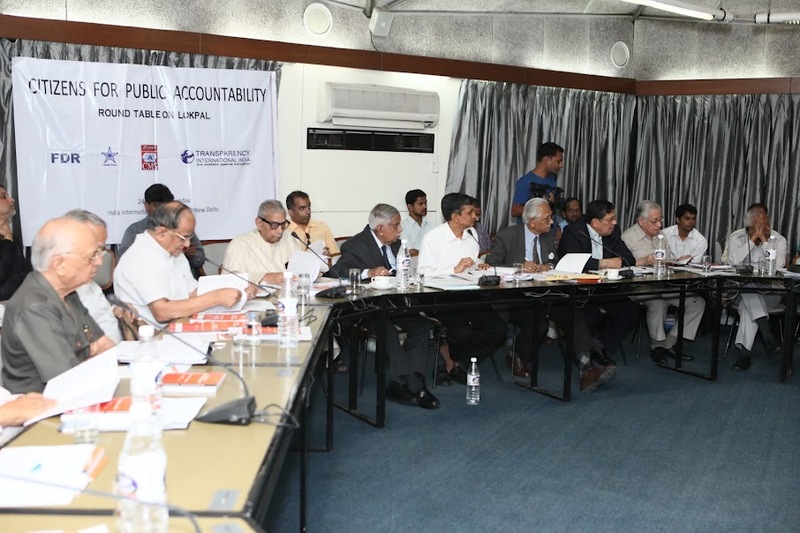 Identifying the necessary reforms needed to the existing anti-corruption institutional and legal framework in India and making specific reform proposals. Corruption and the Private Sector FDR recommends the implementation of measures such as corruption-free licensing, taxing windfall profits, making tainted contracts unenforceable, mandating service guarantees and charters, protecting whistle blowers,relaxing restrictions regarding private employment of former public officials, penalizing false claims and inclusion of NGOs receiving public funding, within the ambit of PoCA. Immunity to Bribe Givers FDR believes that it is important to give immunity to bribe givers, who are often mere victims of extortion, in exchange for cooperation, in order to be able to prosecute corrupt officials. Specialized Authorities for Investigations and Prosecution There is a strong need for an independent, effective Prosecuting Authority that supervises the entire process of prosecution arising out of impartial investigations and evidence-gathering that stand up to scrutiny in a court of law. Therefore, FDR recommends that an independent and effective Prosecuting Authority should be established, modeled on the District Attorney (DA) system of the United States. Further, since the number of corruption cases filed far exceeds the capacity of the personnel available for investigating such case, India urgently need to expand the CBI, coupled with adequate infrastructure for surveillance, forensic laboratories, communications and mobility.